HTC released the One at an event and is now showing the smartphone at Mobile World Congress, where many tested the HTC One camera against other top-tier devices. The HTC One camera has Ultrapixels, a new technology developed by the Taiwanese company to allow more light and pixels on photos, for a smaller “megapixel” number. The company is really pushing the idea that megapixels don’t matter and the bigger the number doesn’t mean the better the camera. They add that their smartphone delivers the best shots against any smartphone, with low-light modes, software packages on the HTC One camera and an impressive sensor. 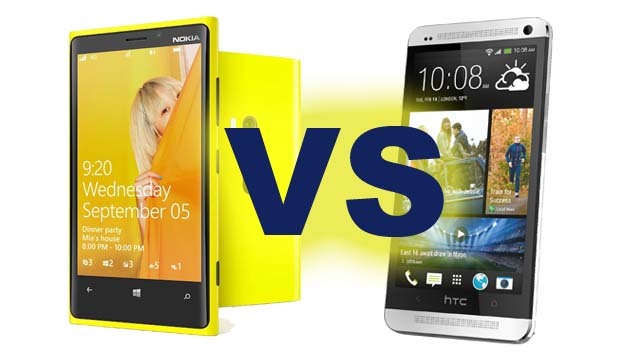 The problem is another company also says their phone offers the best camera, Nokia with the Lumia 920. When released, the Lumia 920 hit controversy for staging a camera scene and using professional equipment, but when we and other reviewers got hold of the Windows 8 smartphone, we loved the PureView technology and the Lumia 920’s great sensor and shooter. The Lumia 920 is the real smartphone to beat, in our view, for camera technology. HTC One camera has four “ultrapixels” and some additional software features to stop noise, grit and other problems when it takes photos. The Lumia 920 has an 8.7 megapixel shooter with integrated PureView technology. First tests may be a bad way to compare the smartphones, but when the Lumia 920 and HTC One cameras go up against each other, there is one winner: the Lumia 920. Even in low light conditions, the Lumia 920 offers a more crisp, sharp image, although it is a little darker. In normal light conditions, we are yet to get any solid readings, although the HTC One camera was only meant to be sufficiently better than others in low light conditions. We expect with the Lumia 920’s impressive camera quality in light conditions, it will torch the HTC One camera, leaving the Ultrapixel’s and the rest of HTC’s oddly named features in the dirt.